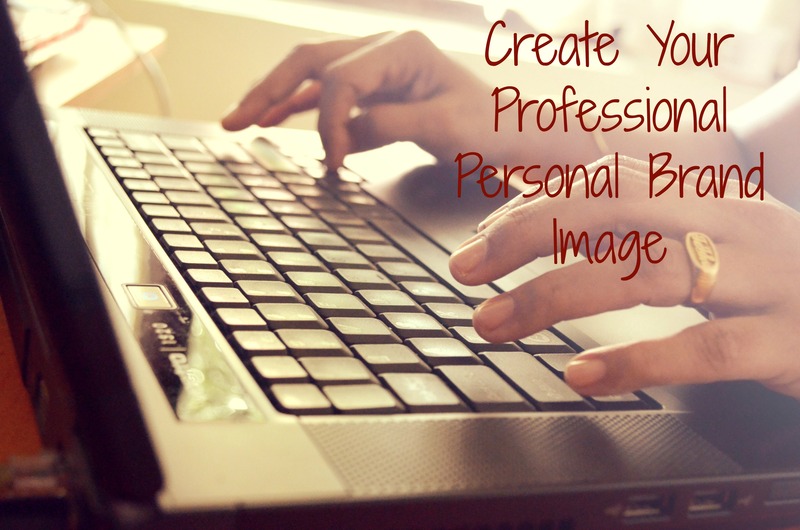 Creative Design Can Be So Much Fun! 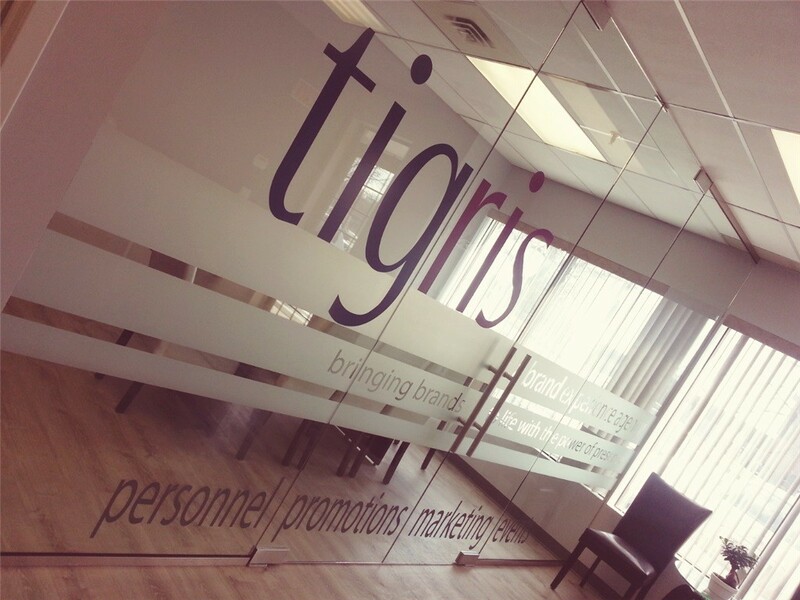 By now you’ve probably heard the news; Tigris has a new home for our head office! 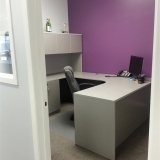 Our brand colours are bright and bold so it was a lot of fun determining how to accent the walls, pick furniture to match along with signage, decals and everything else that goes into a new office and the creative design process behind it. Not everyone is naturally creative but if you have an established brand, developing creative concepts and ideas is not difficult. 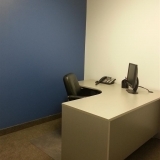 In our case, we were fortunate enough to find a space that already had the layout we wanted and needed. 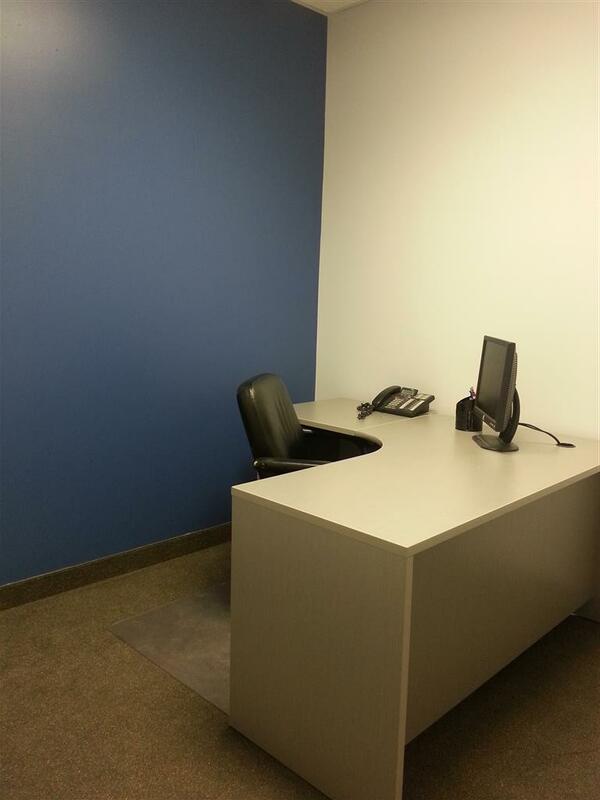 In fact, the previous tenants even had similar brand colours to Tigris so it was really easy to visualize ourselves working in the new space. So what did we need in that case? 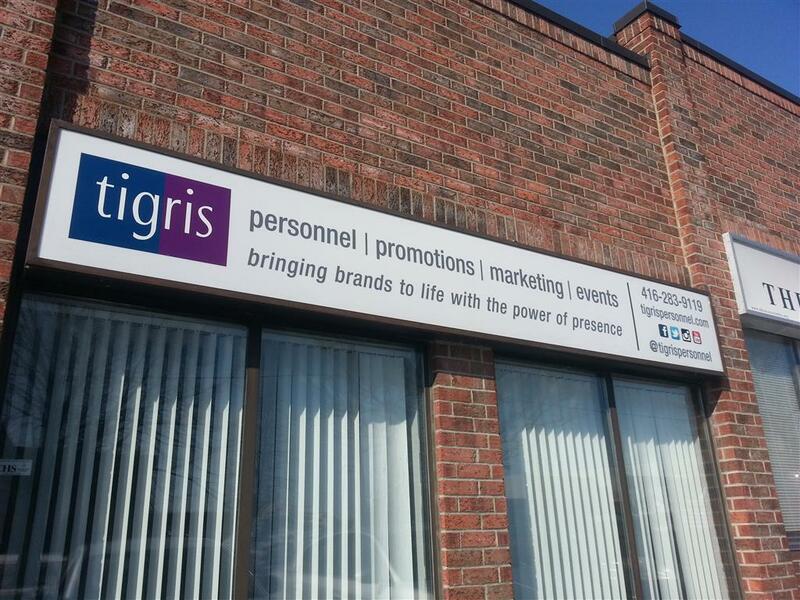 Well, for starters, we needed to come up with a creative design for our exterior sign. Of course, nothing can ever go exactly as planned. The day we took possession, we arrived to find the old sign… well, missing. 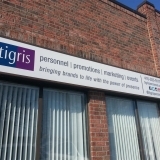 The former tenant was just moving around the corner and thought they would swap out the sign of their new unit with their old one so they didn’t have to re-brand it. Unfortunately, it broke clean in half – but were gracious enough to give us the money to get new plexi-glass for our sign. It delayed installation for a few days but hey, it could’ve been worse. Next on the list was painting. And by painting, it took at least 40 hours over 4 days to put 2 coats of paint on 25 walls. 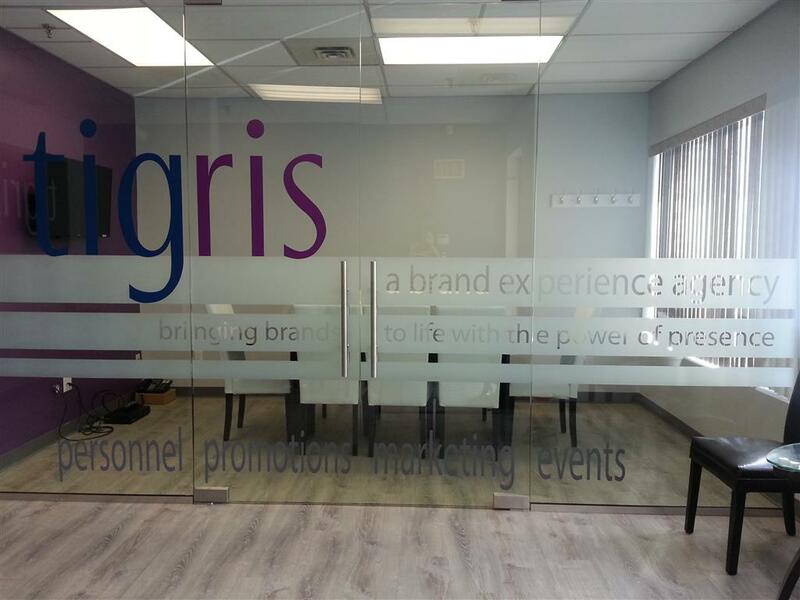 We were able to colour match our logo so we could feature our brand colours in the reception and boardroom areas along with accent walls in the offices. 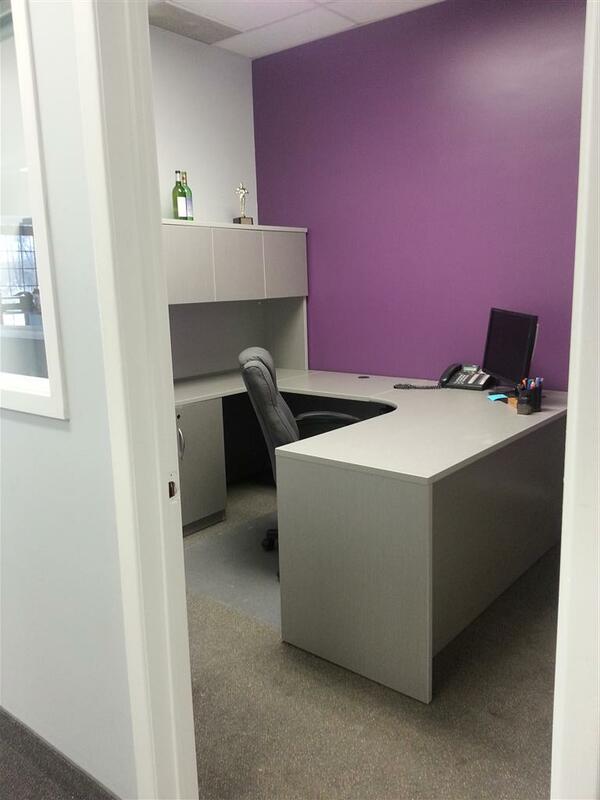 The existing offices each had 2 grey walls and 2 lavender walls so we covered the 2 lavender walls with grey paint and accented one wall in each of the 6 offices with alternating blue and purple shades to match our logo. 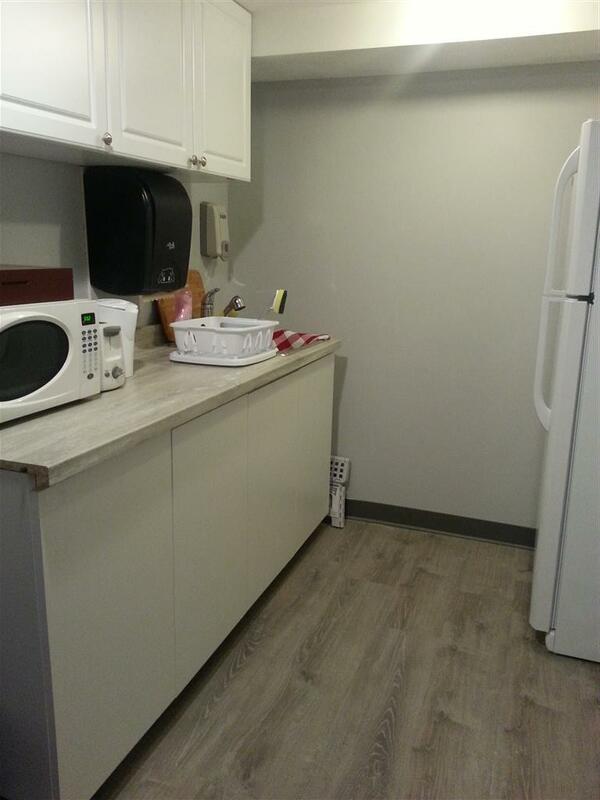 We also painted the 2nd floor storage area and washroom to freshen up the place along with replacing the carpets. Fortunately, the flooring on the 1st level is in great condition and required no work at all. We just had to be extra careful with taping and drop sheets to ensure they stayed that way. 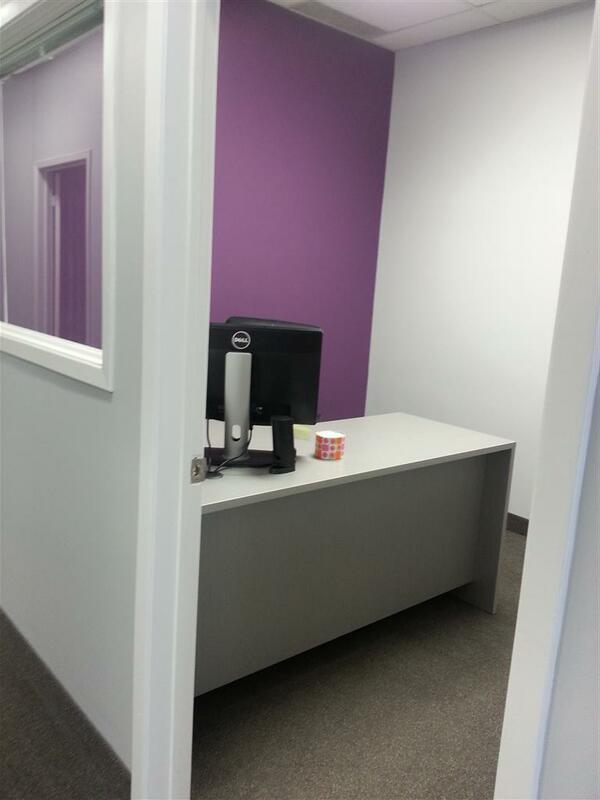 Given the former tenant had a clinic, she utilized an area for laundry… which as a marketing agency, we clearly don’t need. 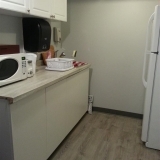 With the washer and dryer out of the way, we installed cabinetry and a new counter and had a fridge delivered so all of the employees have a functional lunch room. All that’s left is a back splash which we expect to complete in a couple of weeks. 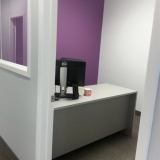 Another common concern with moving offices is cabling for phones and computers. We were extremely fortunate that one of the tenants over the years had done this already. 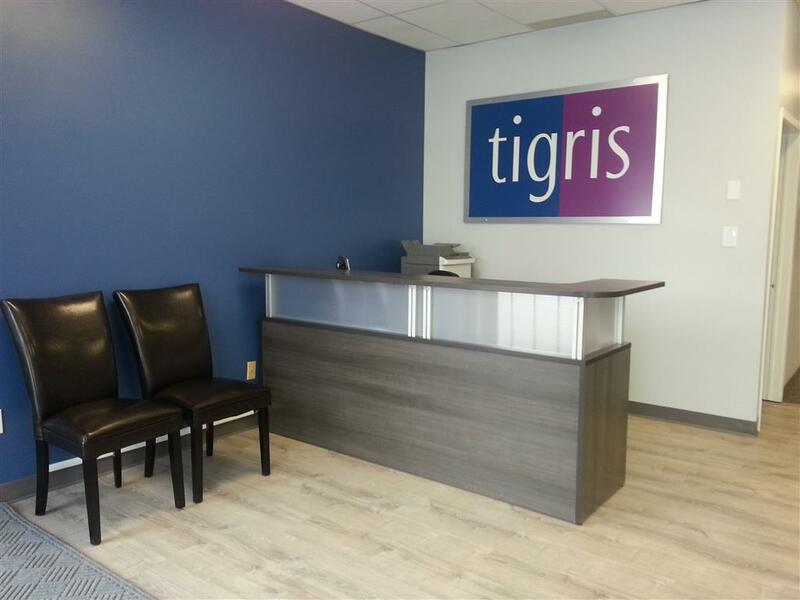 We literally just had to plug our server and phone system in upstairs and voila… Tigris was up and running! 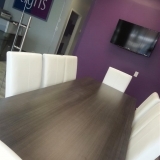 Our big splurge for the new space was our beautiful boardroom. 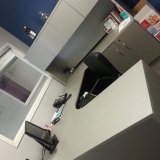 The existing office had a HUGE waiting room area… it kind of felt like a lot of wasted space that we could put to other uses. We researched ideas to install a glass partition with double doors, stainless steel pivots and handles. And we had to admit, the end result is breathtaking! 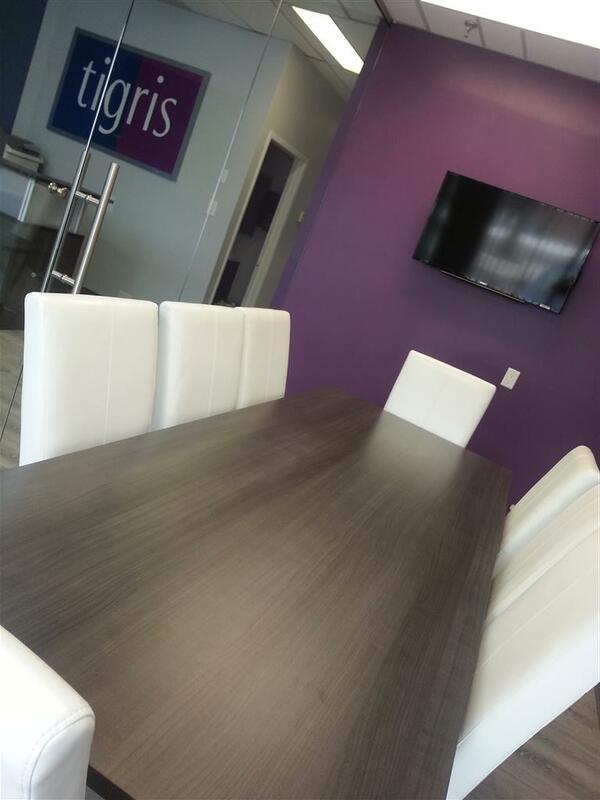 We have a formal boardroom that seats 8 people comfortably along with a 40″ TV to review slideshows and presentations through a VGA/HDMI port. 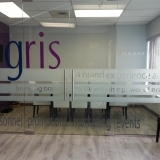 Our favourite element to the boardroom is the branding we designed ourselves with colourful decals and 3 strips of frosting with lettering cut out to define our company and illustrate our slogan. 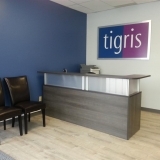 The creative design of our boardroom is a focal point as soon as you enter the office and makes a strong statement about the professionalism we stand behind at Tigris. So what’s left? Well, short of buying a shelving unit for the boardroom’s phone and cable box and buying some art work for the offices, we are completely done!!! It may have taken over a year to find the space we were looking for but we have officially been in our new home since Mar. 9 and look forward to a bigger and better year than ever. 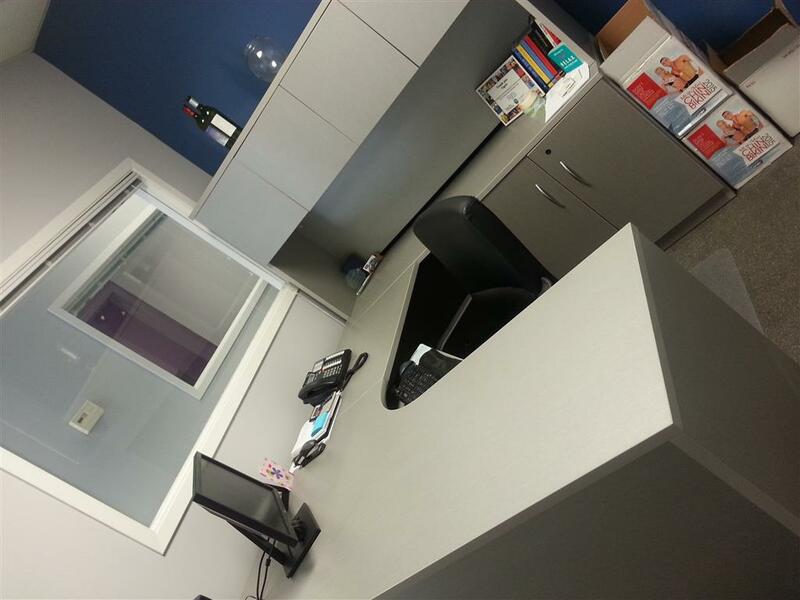 Can you tell that we absolutely love our new space!